Click here for a page that page will tell you everything you need to know to grow healthy plants. The most famous of all carnivorous plants, these perennials are grown from seed. They hold their open traps in the air, like a clamshell. The outer margins are lined with cilia. A sweet nectar lures insects who trigger tiny hairs and it snaps shut. 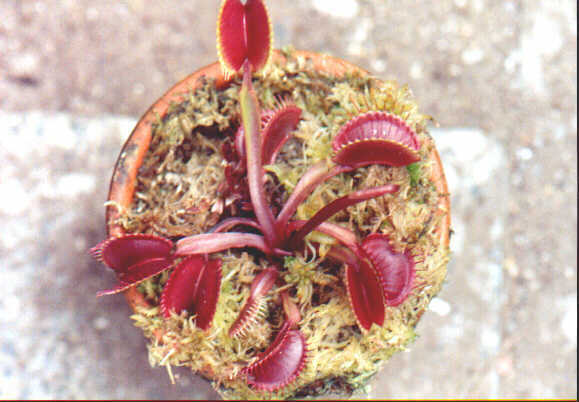 Each trap usually lasts for about three meals, then dies and should be trimmed off.